A hot and dry summer is coming to an end. Rarely before we enjoyed cool evenings so much and even yearned for rain. Some model railway fans fled from the heat into the cool hobby room in the cellar. However not all modellers have the good fortune to enjoy crafting in a cool hobby room. But the power of the summer is over and now it is time for crafting. And of course the new NOCH Catalogue should not be missing. Also this year we have enlarged our range with new products. Among the highlights for model landscaping you will find the new Deco Minis (from page 251) and the new, realistic Foliage (from page 96). For designing perfect roads we offer even two different, innovative solutions: the Road Construction System (from page 68) and the high-quality Structure Roads (from page 71). Fans of special scenes will surely like the new Haunted House (page 184) and the Creepy Graveyard (page 186). 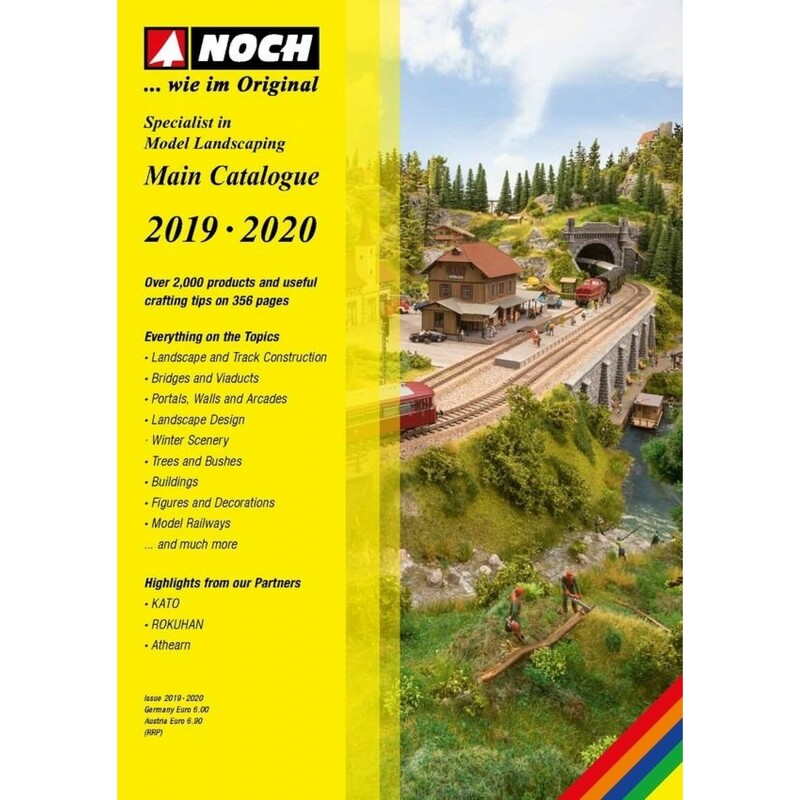 For model railway enthusiasts preferring prototypical models there are two new structures: the »Honau« Station (page 162) and the Fire Station (page 177). And last but not least we would like to mention our completely revised range of Model Railway Briefcase Layouts (from page 304). Our hobby brings together old and young and it delights tens of thousands all over the world. We wish you much fun browsing through the new NOCH Catalogue.